FLAUNT! Build Your Dreams, Live Your Sparkle! To put it simply, a paraben is any group of synthetic compounds that are used as a preservative in a product containing water (which happens to include most processed foods, and personal care products!) That also means that parabens can hide in your products under a whole slew of hard-to-read names–from methylparaben to isobutylparaben, and many more. But by learning about what these chemicals are, the impact they can have on your body, and how to avoid them, you can protect yourself from the dangers of parabens. 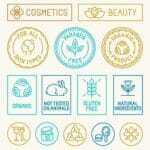 Read more about this chemical on EarthHero’s Simply Sustainable Blog: What are Parabens? A Highlighted Book for the Month and a D7R Host Signed Book –Drawings for 3 lucky winners per month! By signing up for our Newsletter, you’re automatically in the drawings. Our Newsletter consists of special offers and promotions from our hosts, other practitioners, authors and musicians.